We know that you have a choice in dentists, and we are honored that you have entrusted us with your smile. Our practice specializes in general dentistry, restorative dentistry, and cosmetic dentistry for the entire family. As your dedicated healthcare partner, we pledge to give you the honesty, integrity, and expertise that you deserve. We are proud to offer the latest technology and are committed to providing state-of-the-art patient care in a convenient, comfortable setting. Whether you are ready to bring your child in for a first visit, need a root canal to alleviate tooth pain, or want to enhance your image with teeth whitening, we will deliver prompt service, gentle care, and clinical excellence. Dr. Cormier and our associates are committed to making each patient smile. You are the reason we show up each day, and we promise to treat you with consideration and respect. We can design a one-of-a-kind solution that will maximize your smile power and improve your oral health. Take time to browse our website, learn about our services, and meet our dentists so that you can discover all the ways we can care for your family, restore your smile, and exceed your expectations. Thank you for visiting our site - we hope to see you soon! If you have any questions or want to schedule an appointment with one of our dentists, please contact our Beverly dental office so that we may personally assist you. Located in Beverly, we welcome patients from Salem, Danvers, and the surrounding areas. We understand that visiting the dentist may not make your top ten list of desirable events, but we want our patients to feel comfortable and relaxed in our Cormier Dental & Associates office. If you want individualized, quality dental care, you’ve come to the right place. Our team will spend time getting to know your preferences, listening to your concerns, and developing a detailed plan to meet your smile goals. Our Dentists and our staff are recognized for providing state-of-the-art dentistry, which includes DIAGNOdent, digital x-rays, intraoral cameras, and one-visit ceramic crowns. We have invested in tools and technology that will enhance our patients’ experiences and protect their oral health long-term. Our entire team expands their skill sets with continuing education coursework. As one of the few practices in the area to utilize a CEREC CAD/CAM instrument, our doctors can restore damaged teeth in one appointment. The ceramic, tooth-colored inlay, onlay, or crown is manufactured in the office while the patient waits, eliminating the need for temporary restorations and multiple appointments. The finished product is extremely precise, attractive, and durable. In addition, the procedure allows us to practice more conservative therapy because of the modern bonding techniques, which keep healthy tooth structure intact. Our goal is to surpass our patient's expectations. We strive to provide a clean and relaxed environment where patients can receive the highest quality of care. We believe in providing our patients the information they need in order to make educated treatment choices. We support continuing education and technological advances in dentistry so that we may provide the best possible treatment. After completing his undergraduate education at Earlham College in Richmond, Indiana, Dr. Cormier received his dental degree in 1986 from Georgetown University School of Dental Medicine in Washington, D.C. In 1987, he took over the long-established practice of Dr. Richard Carr on Cabot Street. Dr. Cormier maintains memberships with the following organizations: the American Dental Association, the Massachusetts Dental Society, the North Shore District Dental Society, the North Shore Perio-Prosthetic Study Club, Beverly Hospital Corporator, American Society of Forensic Odontology, Diplomat of the American College of Forensic Examiners, and the Academy of Computerized Dentistry. In his free time, Dr. Cormier enjoys motorcycles, golf, boating, and skiing. In 1992, Dr. Pearlstein received his dental degree from the University of Pittsburgh School of Dental Medicine. 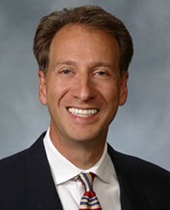 Upon completion of a one-year general practice residency at Strong Memorial Hospital in Rochester, N.Y., he returned to the University of Pittsburgh to complete a three-year specialty residency in periodontics, the area of dentistry that focuses on the prevention, diagnosis, and treatment of gum diseases. As a periodontist, he performs cosmetic periodontal procedures, such as gingival reshaping and tissue grafting, to help you achieve the smile you desire. He also specializes in the placement of dental implants, which are used to replace missing teeth or stabilize loose fitting dentures. Dr. Pearlstein belongs to the American Dental Society and the American Academy of Periodontology. 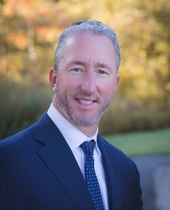 He has been in private practice in the Boston area since 1996. Dr. Joyce Baek obtained her degree from Johnson and Wales University and The Ohio State University. She graduated from the dental school at Tufts University in 2011. She is a member of the Academy of General Dentistry, American Dental Association and Massachusetts Dental Society. Continuing education is a foundation of her core values. She engages in extensive training each year. She has taken a postgraduate course in occlusion (your bite), short term orthodontics, and dental photography - with a focus on communication and building a relationship-based practice. Her goal is to incorporate the newest and best treatments and techniques into her work so that she can give her patients the smile of their dreams. Her commitment to lifelong education means she is constantly evaluating emerging dental methods and technologies to provide her patients with the best results in the least invasive manner with a high emphasis on comfort. This commitment ensures the highest level of care, both today and tomorrow. Dr. Adam Marengi received his bachelor’s degree at Providence College. He graduated from dental school at Tufts University in 2011 and went on to attend a general practice residency at Newark Beth Israel Medical Center. Is a member of the Academy of General Dentistry, American Dental Association and the Massachusetts Dental Society. He has taken a postgraduate course in occlusion, short term orthodontics and dental photography - with a focus on communication and building a relationship-based practice. His goal is to incorporate the newest and best treatments and techniques into his practices, so he can give you the smile of your dreams. His commitment is also to lifelong education and means he is constantly evaluating emerging dental methods and technologies to provide his patients with the best results in the least invasive manner with a high emphasis on comfort. This commitment ensures the highest level of care, both today and tomorrow. Our team is dedicated to providing our patients with the best care available. Together, we have over 85 years of combined experience in the field! We all participate in continuing education and have current certification in CPR and the use of the AED located in our Cormier Dental & Associates office. We are passionate about comfort and safety and have the latest equipment in sterilization. We exceed all safety standards and guidelines. A preventive program is a cooperative effort by the patient, dentist, and dental staff to preserve the natural oral health and supporting structures. We do this by preventing the onset, progress, and recurrence of dental diseases and conditions. Preventing dental disease starts at home with a balanced diet and good oral hygiene. It continues into the dental practice with your dentist and your dental hygienist promoting, maintain and restoring your oral health. Prevention also includes regular dental exams, cleanings, and x-rays. Sealants and fluoride can also be a great preventive treatment plan that helps protect the teeth. Prevention helps avoid serious and costly dental problems later and is the key to having a confident, healthy and awesome smile! The key to oral hygiene is brushing and flossing. Even though bi-annual professional dental cleanings remove plaque, tartar, and debris, excellent homecare methods are equally valuable. Proper brushing and flossing can enhance the health of the mouth, make the smile brighter, and prevent serious diseases. Prevention of tooth decay - Tooth decay is one of the leading causes of tooth loss, and its treatment often requires complex dental procedures. Tooth decay occurs when the acids found in plaque erode the natural enamel found on the teeth. This phenomenon can easily be prevented by using proper home hygiene methods. Prevention of periodontal disease - Periodontal disease is a serious, progressive condition which can cause tooth loss, gum recession, and jawbone recession. Periodontal disease is caused by the toxins found in plaque and can lead to serious health problems in other parts of the body. Removing the plaque and calculus (tartar) from the surface of your tooth using a toothbrush and from the interdental areas using dental floss, is an excellent way to ward off periodontal problems. Prevention of halitosis - Bad breath or halitosis (as it is called) is usually caused by old food particles on or between the teeth. These food particles can be removed with regular brushing and flossing, leaving the mouth healthier, and breath smelling fresher. Teeth Staining Prevention - Yellowing of staining, of your teeth can be caused by a wide variety of factors such as coffee, tea and smoking. The more often these staining agents are removed from your teeth using brushing and flossing techniques, the less likely it is that the stains will become permanent. How to Properly Brush Your Teeth -Your teeth should be brushed at least two times per day, ideally in the morning and before bed. The perfect toothbrush is small in size with soft, rounded-end bristles, and is no more than three months old. The head of the brush needs to be small enough to access all areas of the mouth, and the bristles should be soft enough so as not to cause undue damage to the gum tissue. The American Dental Association (ADA) has given electric toothbrushes their seal of approval, stating that those with rotating or oscillating heads are more effective than other toothbrushes. Proper Brushing - Place the toothbrush at a 45-degree angle where the gums and teeth meet. Use small circular motions to gently brush the gumline and teeth. Do not scrub or apply too much pressure to the teeth, as this can damage the gums and tooth enamel. Brush every surface of every tooth, cheek-side, tongue-side, and chewing surfaces. Place special emphasis on the surfaces of the back teeth. Use back and forth strokes to brush the chewing surfaces. Brush the tongue to remove fungi, food, and debris. Flossing - Flossing is a great way to remove plaque from the interdental regions (between the teeth). Flossing is an especially important tool for preventing periodontal disease and limiting the depth of the gum pockets. The interdental regions are difficult to reach with a toothbrush and should be cleansed with dental floss on a daily basis. Proper Flossing - Cut a piece of floss to around 18 inches long. Wrap one end of the floss around the middle finger of the left hand and the other end around the middle finger of the right hand until the hands are 2-3 inches apart. Work the floss gently between the teeth toward the gum line. Curve the floss in a U-shape around each individual tooth and carefully slide it beneath the gum line. Carefully move the floss up and down several times to remove interdental plaque and debris. Do not pop the floss in and out between the teeth as this will inflame and cut the gums. Fluoride - is very effective in preventing cavities and tooth decay and in preventing plaque from building up and hardening on your tooth’s surface. A fluoride treatment in your dentist’s office takes just a few minutes. After the treatment, patients may be asked not to rinse, eat, or drink for at least 30 minutes in order to allow the teeth to absorb the fluoride. Depending on your oral health or your dentist recommendation, you may be asked to have a fluoride treatment every three, six, or 12 months. Sealants - They are highly effective in preventing decay on the biting surfaces of your chewing teeth, dental sealants are a simple procedure in which a tooth-colored acrylic "coating" is painted onto the surface of the tooth. This effectively "seals" the deep grooves, acting as a barrier and protecting enamel from plaque and acids. Crowns - Crowns also known as "caps" are porcelain or porcelain fused to metal restorations used primarily to repair broken, decayed or fractured teeth. If a filling can't replace enough of the tooth or make the tooth strong enough a crown may be recommended. A bridge fills a space where a tooth once was and is generally three or more crowns fused together. Dental Bridges - All of your teeth play an important role in speaking, chewing and in maintaining proper alignment of other teeth. Tooth loss doesn’t necessarily have to occur as you age, but if you do you’re your teeth they must be replaced to maintain proper function of your mouth. Fortunately, there are options for correcting tooth loss. Dental Bridge Options - A bridge — a device used to replace your missing teeth — attaches artificial teeth to adjacent natural teeth, called abutment teeth. Bridges are either permanently attached (fixed bridges), or they can be removable. Fixed bridges are applied by either placing crowns on the abutment teeth or by bonding the artificial teeth directly to the abutment teeth. Removable bridges are attached to your teeth with metal clasps or by precision attachments. Dental implants are artificial roots and teeth (usually titanium) that are placed into the upper or lower jaw bone by a dentist or dental specialist. The teeth attached to implants are very natural looking and often enhance or restore a patient’s smile! Dental implants are strong and durable and will last many years. The process of getting implants requires 3 visits over a spans of 3-4 months. At the first appointment, x-rays and impressions (molds) are taken of the jaw and teeth to determine bone, gum tissue, and spacing available for an implant. While the area is numb, the implant will be placed into the bone and allowed to heal and integrate itself for 3-4 months. At the second appointment, a "post" which is called the abutment is placed that will hold the tooth in place. The third appointment is only two weeks later, and that is when the final crown is delivered. You now have a fully functional free-standing tooth where it was previously missing. Veneers are an ideal for improving your smile. Porcelain veneers are custom made ultrathin pieces of tooth colored materials. They can change the color, shape, size and length of teeth when bonded to the front of the tooth. When it comes to strength and esthetics, veneers are unsurpassed by other restorative options. Dentures are natural-looking replacement teeth that are removable. Full dentures are given to patients when all the natural teeth have been removed. Partial dentures are attached to a metal frame that is connected to your natural teeth and are used to fill in where permanent teeth have been removed. Just like our natural teeth, the dentures need to be properly cared for. Use a gentle cleanser to brush your denture. You need to always keep the dentures moist when they’re not in use and be sure to keep your tongue and gums clean as well. Using the most advanced dental technology is just as important as staying up-to-date on the latest treatment techniques. Our practice is dedicated to providing you with the safest and most convenient treatment options available, we utilize advanced digital X-ray technology in our office. You'll find many more advanced tools in our office, all designed to make your care with our practice that much smoother. Our dedication to technology helps us diagnose your problem areas with exceptional accuracy, treat you precisely, and help you feel more relaxed every step of the way. Our prices are competitive, and we try to be as punctual as possible so that none of your valuable time is wasted. Patients received skilled attention and valuable experience in a familiar setting. Right from your first appointment our team will always take the time to discuss your available options to ensure you pick the one that best suits your needs. At your first appointment, we will collect your insurance information and gather a detailed health history. The hygienist will take X-rays, perform a periodontal assessment, and may clean your teeth, as long as there are no signs of gum disease. Your doctor will conduct a thorough evaluation to determine the current status of your mouth. Then, you will meet with the dentist in our private consultation room to discuss treatment options and develop an action plan that fits your goals. We will work with you to create a solution that considers your needs, priorities, and budget. To expedite check-in, we provide online copies of the necessary forms. Just complete the paperwork before your appointment and turn it in to the office team when you arrive. We can also provide hard copies at your visit, if you prefer. We don’t want financing to stand in the way of patients achieving healthy, attractive smiles, so we work to make financing and insurance as stress-free as possible. Although our practice contracts with Delta Premier and Blue Cross, we accept many other private insurances plans, so call our Beverly, MA dental office to discuss your specific coverage. Our policy is to file claims and accept assignment of benefits. Please pay your co-pay or deductible at the time of service. For your convenience, we accept cash, check, and credit cards including American Express, Discover, MasterCard, and Visa. Third-party financing is available for qualified applicants through CareCredit. A dental emergency can occur any time, day or night. Our doctors want you to know that you can count on us when the unexpected happens. Call our office immediately if you have an emergency, and we will work you in that same day. "A note to let you know how much Bud feels since his last adjustment. He can finally east some of the foods he loves and enjoy his life a lot more. Thank you." "Thanks for my "Pearly Whites" they are just the right shade. Thanks, You Rock." "I recently saw patient (Doe) and have emphasized again how happy I am with the stability achieved by the stabilization of #'s 8 & 9. He should continue on routine maintenance in your office. I told him that nothing is absolutely 100% predictable but I think what has been achieved so far is exceptional. Thank you Dave." Dr. Roger J. Wise, D.D.S. "From the front desk to the dental assistant to Dr. Baek. Everyone is friendly, professional and efficient. They make my comfort and outcome of my visit their top priority. I couldn't ask for a better team." "Always professional and helpful - The entire staff is dedicated to customer service and provides exceptional care." "I have been using this office for many years. The front desk staff - Laureen and Sue - are awesome, friendly and always helpful. Nancy is always happy and upbeat during my cleanings. I always feel very comfortable. The entire staff is very helpful, and they always remember personal details about me, making sure I always feel like more than just another patient." "Instead of the more expensive post and crown on a cracked rear toot, the dentist offered to fill it instead and see how the tooth would hold up. He did a great job; the tooth feels and looks good. Hopefully it will hold up well. This saved me a lot of time and money." "With a busy life and tough schedule, Sue and Laureen at the front desk are always super helpful and accommodating. E-mail/text reminders - all very helpful. All hygienists are very friendly." "Dr. Marengi and his assistant were so reassuring preparing me for a tooth extraction. The Dr. is very gentle and makes sure I was pain free and comfortable. The office staff is friendly and follows up on my recovery in a timely manner. It was a pleasant experience. I recommend to others." The NICEST, most attentive dentist office you’ll ever go to! "I love going to my appointments because EVERYONE is so nice! From reception to the hygienist and doctors, everyone is just SO pleasant and makes the experience wonderful. They do a thorough job in my oral care. Never a wait to be seen. LOVE it there!" High quality service, professional! Excellent! "Always a pleasant visit with excellent results." "Always a great experience from the time you walk in the door to the follow-up at the end of the appointment. Plenty of options given that fit your insurance and budget." "As usual I didn’t have to wait beyond my appointment time and I am always greeted promptly and they all seem to know us all by name. Not a common experience in other offices. Gail does a great job cleaning. She has been doing my teeth for many years and will offer constructive advice if needed and never forgets to offer a toothbrush or tube of toothpaste at the end of the session. Thanks for the good work." "Great staff, great services .... Today was a cleaning /check up. As always everyone is so nice and friendly! I have been going to them for more than 30 years. I like the email notification for appointment and also text messages to remind me of my appointment. I would recommend this office to anyone." "Always a positive experience ….. I am always greeted in a friendly manner, taken in promptly and cared for in an efficient professional manner." Emergencies, by their very nature, are never convenient. That’s why Dr. Cormier and his Beverly dental team offer emergency dental care. With emergency dental care, we can help you reclaim good oral health and achieve peace of mind. Are you experiencing a dental emergency? Call our Beverly office today. And to learn more about how you should respond to some of the most common dental emergencies, keep reading. A patient who has just lost a tooth should take the following steps. First, call Dr. Cormier’s Beverly dental office to alert us to your emergency. Then, if possible, try putting the tooth back into the socket it came from. If you’re unable to do that, store it in a bag of milk until we’re able to see you. Reattachment may be possible, but only if we can see you immediately. For patients who have a cracked or broken tooth, the first step (after calling us) is to rinse the tooth with warm water. To prevent or reduce swelling, apply a cold compress to the area and come to our office as soon as you can. Toothaches have many causes, and not all of them serious. If you’re experiencing discomfort, try flossing around it first, before you call us. It’s possible a piece of debris may be caught around the tooth, causing it to ache. If your pain persists, call Dr. Cormier’s office for an appointment. We offer a range of treatment options to help. The most obvious problem a patient who’s cut or bitten her tongue will face is bleeding. Apply a cold compress to the injury to stop bleeding and prevent swelling. If the bleeding doesn’t stop, visit your local emergency room, as stitches may be needed. Call us if one or more teeth have sustained an injury. A patient with an injured jaw should go to the emergency room immediately. If any teeth have been lost or damaged, call our Beverly dental office for emergency dental care. Q. Will you care for my entire family? A. Yes. We can provide dental care for the entire family, bringing together children’s dentistry, general family dentistry, cosmetic, and restorative dentistry together in our Beverly practice. Please feel free to contact us now at (978) 927-0324. Q. My gums bleed after I brush. Is this something to be concerned about? A. Bleeding gums should definitely be investigated for underlying problems. When gums bleed, the cause could be that you’re brushing too hard or other simply answered with a checkup, but it could also be early-stage gum disease, called gingivitis. We can set you up with an appointment for proper toothbrush pressure and safe, effective daily oral care. If your gums show signs of gum disease, we may recommend a deep hygiene treatment to stop the disease and return your gums to good health. Gum disease is the leading cause of tooth loss for American adults, and it has been linked to many overall health conditions, including stroke, heart attack, and respiratory problems. Untreated, gum disease can escalate to create significant damage to your health, so please consider calling for an appointment. We want to help you maintain teeth and gum health for life! Call (978) 927-0324. Q. Does Cormier Dental & Associates support any community organizations? Our Office is AED equipped in case of a cardiac event. © 2018 Cormier Dental & Associates. All rights reserved.